Protect your hose and cable leads by installing a protective cable cover. 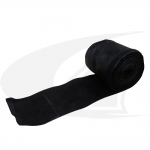 Available in two material types: Ballistic Nylon with Shielded Zipper, and Flexible Leather with Velcro. Both materials offer cable protection and improve shop safety. Leather covers are more durable as leather is more resilient when exposed to direct heat. 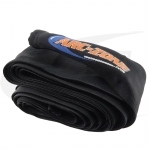 Nylon covers are easy to install by way of the shielded zipper, but will melt when exposed to direct flame or sparks.